Is Nepotism Still an Issue in the Church? A: One may certainly hope that Catholic bishops and other church officials appreciate the need to avoid even the appearance of a conflict of interest in their daily duties, and so logically they should understand that nepotism is an ugly concept that must be shunned! Just to be safe, however, there are a number of different canons in the current code that prohibit blood relatives of certain church authorities from benefitting from their familial connections. Before looking at those canons, let’s take a look first at some of the historical events that ultimately led to the notion that nepotism is an objectionable practice in the Church—because such wasn’t always the case! For starters, what does the term “nepotism” mean? The word derives from the Latin term for “nephew,” although it came to include other family members as well, and it refers to high-ranking officials giving positions of authority to their own relatives. It does not refer exclusively to the church hierarchy: members of royal families and elected politicians are covered by the term too. By about the 12th century, when the papacy was becoming a politically powerful position in its own right, the Pope was essentially in the same political league as kings and emperors. The Pope’s need to give key ecclesiastical offices to entirely trustworthy persons was indisputable. A Pope, like any world leader, shouldn’t have to worry that the men who work for him might be scheming behind his back, trying to undermine his policies, or repeating confidential conversations to his enemies! This was the actual origin of the papal practice of placing nephews in high church offices. If unmarried, nephews could be ordained as clerics, and then be given ecclesiastical positions that were/are necessarily reserved to the clergy. 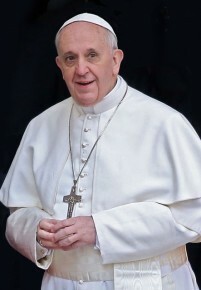 As members of the Pope’s own family, nephews could ordinarily be counted on to remain loyal to the Pope, carrying out his orders and maintaining confidentiality. That’s presumably why for several generations, there was actually an official position in the Vatican Curia for the “Cardinal Nephew”! 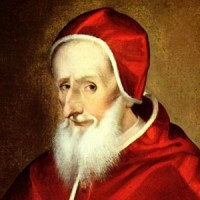 Before we shake our heads at such an outrageous notion, it’s worth observing that this post was created by none other than Pope St. Pius V (reigned 1566-1572), well known as a strong yet saintly leader who implemented the Counter-Reformational reforms of the Council of Trent. The need for such loyalty in the Pope’s circle is unchanging, as we were all recently reminded when Pope Benedict was betrayed so treacherously by his own butler. (See “Canon Law and the Pope’s Butler” for more on this issue.) Thus we can see that at least in the beginning, promoting one’s own nephew to a position of power wasn’t automatically such a bad idea. But as Thierry rightly points out, there were many abuses of this practice in centuries past. Too many nephews were ordained priests, then bishops, and ultimately became cardinals, without having any signs of a priestly vocation—and they clearly appear to have remained in their powerful positions with more of an eye to financial gain than to the glory of God. At the same time, papal uncles naturally—but wrongly—were occasionally willing to “overlook” church crimes committed by their relatives, perhaps with the misguided view that it was preferable to be lenient to a member of one’s own family. The Italian Farnese and Spanish Borgia families gave the Church sad examples of this sort of abuse. Over time, reformer Popes gradually limited nepotism, capping the financial benefits which papal nephews could accrue, and eventually the practice fell into the sort of disrepute with which we regard it today. It’s important to keep in mind that while instances of nepotism by various Popes are well known by historians, the practice certainly wasn’t limited to the papacy. Diocesan bishops and religious superiors likewise indulged in the same sort of familial favoritism for centuries. We’re less familiar with these lower-level abuses, though, simply because local problems normally don’t get the same publicity as international ones do. Canon 478 addresses the requisite qualities for those diocesan priests who are elevated to the positions of Vicar General (a mandatory office in every diocese, as per c. 475), or Episcopal Vicar (an optional position that not every diocese has, c. 476). When selecting priests to hold either of these offices, a diocesan bishop cannot choose anybody who is related to him, up to the fourth degree (c. 478.2). What does this mean? As was discussed in great detail in “Can Cousins Marry in the Church?” the Code of Canon Law has an established system of calculating consanguinity, or blood relationships, by lines and degrees. We saw in that column that the general method of calculation is outlined in canon 108; but in a nutshell, the most common examples of a fourth-degree relationship would include first cousins, and great-uncles and grand-nephews. As the canon is written, the fourth-degree relationship is permitted—but anybody who is more closely related to the bishop than the fourth degree cannot be named Vicar General or Episcopal Vicar, no matter how qualified the man might be! This means that if the bishop’s brother, his nephew, or his uncle happens to be a priest of the same diocese, he is automatically ineligible to hold either of these high-ranking positions. The same is true of those who wield financial authority in the diocese. Canon 492 mandates that every diocese must have a finance committee, and describes the qualifications that must be possessed by its members. It’s no surprise that the law requires them to be experts in financial matters and civil law; but paragraph three adds that anyone related to the bishop up to the fourth degree of consanguinity is to be excluded. Once again, even if one of the bishop’s siblings, nieces or nephews, or aunts or uncles is a well known accountant, or is an attorney with great experience in (let’s say) real-estate law, he/she cannot sit on the diocesan finance committee. The potential for conflict of interest—or even the appearance of such conflict—is obvious. And speaking of real estate, canon 1298 addresses the issue of leasing or selling church property, which may consist of real estate or other tangible assets. There is no surprise here either, as the canon stipulates that the administrator of ecclesiastical goods cannot purchase or rent this property himself, or sell/lease it to any of his relatives up to (once again) the fourth degree of consanguinity—unless he first obtains written permission from competent authorities. This canon applies not only to bishops and the property of their dioceses, but to other entities within the Church that own property too. So, let’s say that a monastery owns a car that they no longer use. Whoever has authority over financial matters in that monastery could not sell it to his own close relative, unless he obtained permission from the proper superior first—which permission would serve as a sort of “second opinion,” to ensure that the relative was not paying an unreasonably low price for it! To cite another example, the financial administrator of a seminary could not arrange to rent the seminary garden to his sister for her wedding reception, without first obtaining written approval from the appropriate superior. 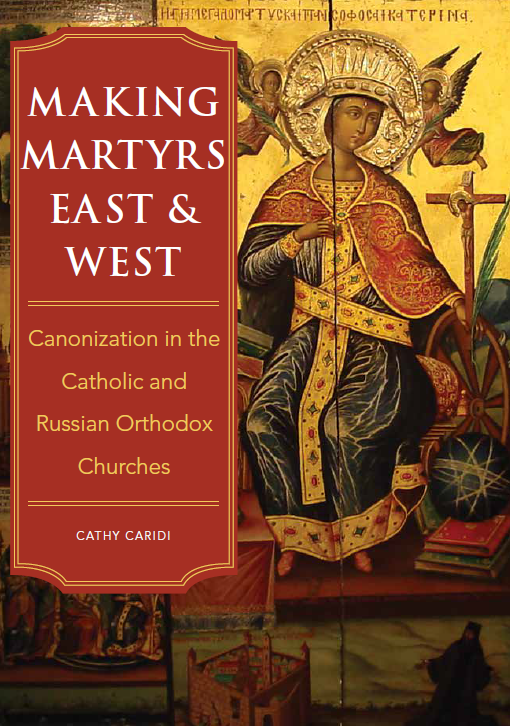 This canon is designed to guarantee that dioceses and other church entities that own property are not taken advantage of, by unscrupulous family members anxious to “help each other out” at the Church’s expense. A different sort of guarantee is found in canon 1448, which deals with church courts. Paragraph one notes that a judge cannot hear a case which involves any of his family members up to the fourth degree of consanguinity. (In fact, this particular canon is even broader, including also relationships by affinity, which means that the judge is also banned from hearing cases concerning his in-laws [c. 109].) It’s hard to imagine how a court could function without this prohibition, since otherwise a judge could blithely hand out marriage annulments and other favorable judgments to his relatives, with no regard for the actual merits of the case! Legitimate cases, brought before a diocesan tribunal where a judge is closely related to either party to the case, must be heard by a different judge—even if that necessitates moving the case to another court. Do any of the canons we’ve just looked at apply to the Pope? While a couple of them are worded generally enough that they could logically be construed to apply to everybody—particularly canon 1298, regarding the sale/lease of church property—the fact is that the Pope could dispense himself from any such law if he chose to. As was seen in “Are There Any Limits on the Power of the Pope?” the Holy Father is free to change any church law that is not grounded in divine (often called “natural”) law. Since there is no direct, God-given commandment against putting one’s nephews or other relatives in positions of power, a Pope is free to do that if he sees fit. All that really hinders him from doing this (when applicable) is his own personal judgment. And if a Pope decided to give a close relative a powerful ecclesiastical position, nobody could stop him: as we discussed in “Can a Pope be Removed From Office?” there is no one on earth who has the authority to overrule the Vicar of Christ, who is answerable to God Alone! Thus it is perhaps paradoxical that while the current Code of Canon Law does contain laws designed to prevent the scandals and abuses due to nepotism, those who are directly bound by them are at some level beneath the Holy Father himself. All the same, it is undeniable that there have been no issues with nepotism by any Pope in modern times, which shows us just how effectively all our more recent Popes have avoided the problem. There are unquestionably plenty of difficulties facing the Catholic Church these days; but fortunately, nepotism appears essentially to be a thing of the past. This entry was posted in Clergy Issues, The Pope and tagged bishop, canon law, Catholic, nepotism, Pope. Bookmark the permalink.